Click on one of the catalog sections below to view a few examples of the resources available. Access to the full library is available to those delivering construction skills training in Schools, Colleges, Community Training Programs, and Employer training programs. Unfortunately, it is not available to the general public at this time. 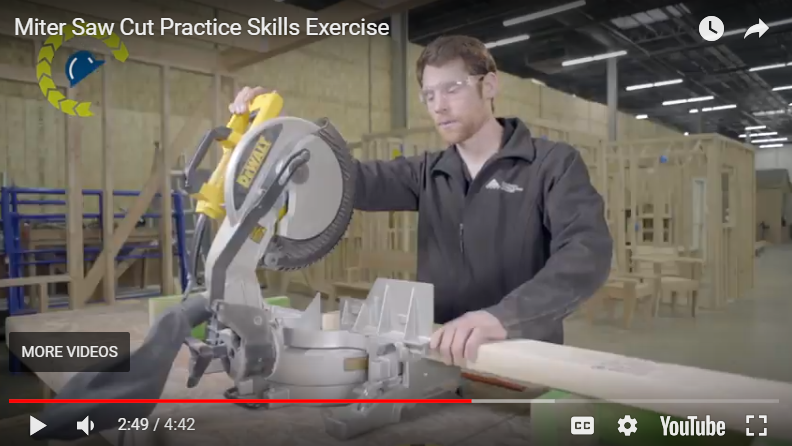 It was produced by our content creation partners at Colorado Homebuilding Academy and supports the Cut Practice Skills Exercise also available in the catalog. Solving the labor needs of today, while developing the workforce of tomorrow.